If you’re reading this, you’re either on a personal computer, on a tablet or on a smart phone. If you’re reading this there is a great chance that you are reading it using this absolutely common and widely spread font. But how many of you do know it’s creator and how it got to be on your device. Who is Arial? With all the huss and fuss of the new and dedicated to them movie – The Minions – I was wondering “whodunit”? Who was the man behind the little small yellow creatures and how did it all started. Both Chris Renaud and Pierre Coffin, the creators, producers and directors of the franchise, had something to do with it in the beginning, giving them a mission and a purpose in life and determined their silly animation and speech, but the man responsible for the final concept art was Eric Guillon. This is a start – thanks Dictionary.com for the word that just gave me this idea of “exposing” some great designers and their work on motion pictures, games, entertainment in general. 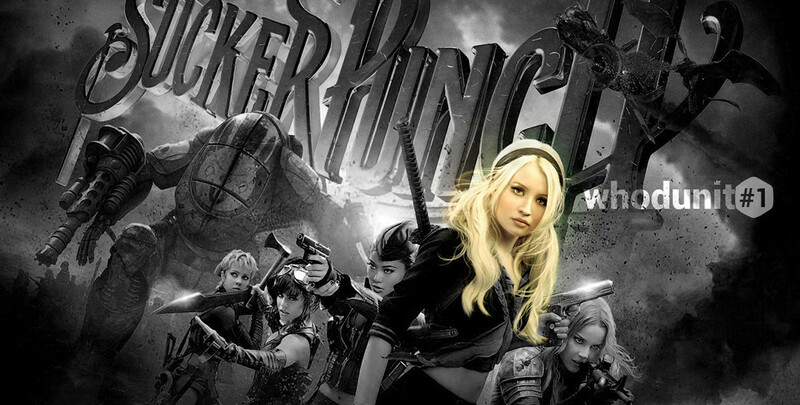 There are lots of great subjects and in time I’m gonna try to gather here many important names, but because everything is has to have a primadona I’ll go with one of my favorite movies – in terms of design, art and special effects – SUCKER PUNCH! The concept art, character creation and promotional design was done but Aaron Sims Company along with, among others, worked at that time Jerad Marantz and Alex Pardee. We will discover Jerad in more detailed on another post here for he is responsible for a lot more spectacular movies and tv shows concept art.